Beverly Hills Eye Center (Los Angeles) - Book Appointment Online! In most other ophthalmology practices, you are examined by a technician who takes the history / examines your eye and then the physician spends five minutes with you. In our practice, your entire history and eye exam is done by our physician who takes the time to know you and address your concerns. Our practice has built a reputation that our patients are not rushed and we provide state- of the-art eye care with a very personalized attention. 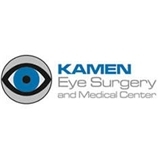 Kamen Eye Surgery and Medical Center has been a leader in providing state-of-the-art medical and surgical eye care in Beverly Hills for the past 12 years. Our top mission has been to provide advanced eye care in a very personalized way. That is why our ophthalmology practice is among one of the few practices in which your entire eye exam is done by the ophthalmologist and not an ophthalmology assistant. At our center we provide most the of the eye care related services from routine eye exams to the most advanced eye surgeries and we have served patients from nearby areas and as well as patients who have flown from other continents to have surgeries at our center. Our services include but not limited to: •	Routine eye exam and checking for eyeglasses. •	Contact lens fitting and supply. •	Emergency eye care services. •	Dry eye treatment and punctal plugs. •	Diabetic eye exam and diabetic eye laser surgery. •	Glaucoma exam and glaucoma laser and surgery. •	Floater exam and laser surgery. •	Macular degeneration exam. •	Stye/Chalazion exam, injection, and surgery. •	Pterygium treatment and advanced pterygium surgery. •	Eyelid surgeries. •	Advanced cataract surgery (no-stitch, small incision,under local anesthesia, about ten minutes) or clear lens extraction with advanced intraocular lenses such as ReZoom, ReSTOR, Crystalens and Alcon Toric lenses to correct myopia, hyperopia, astigmatism, and presbyopia to help patients get rid of their glasses.